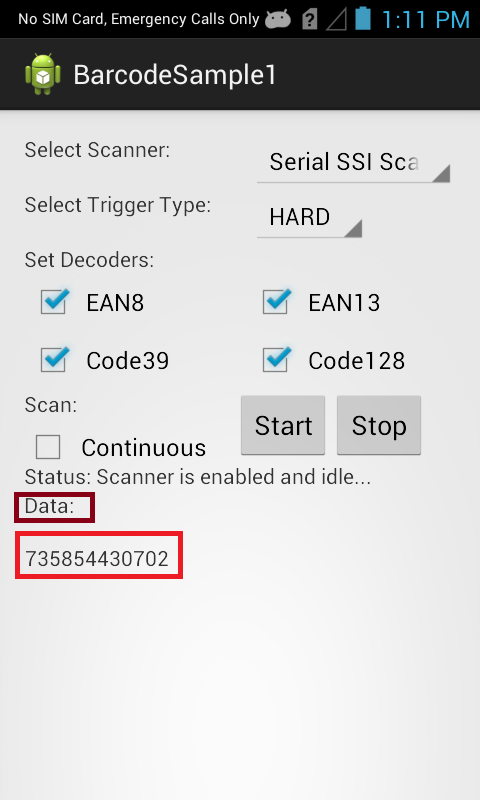 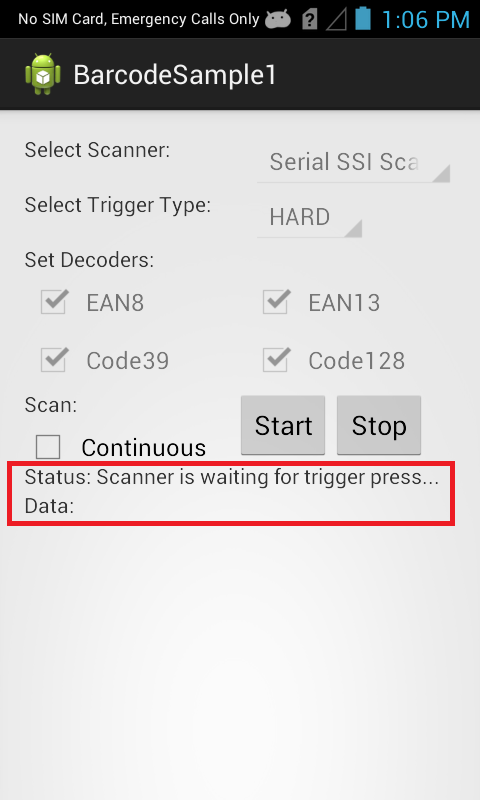 Shows how to scan barcodes based on selected scanner device, trigger type and a few decoder parameters. 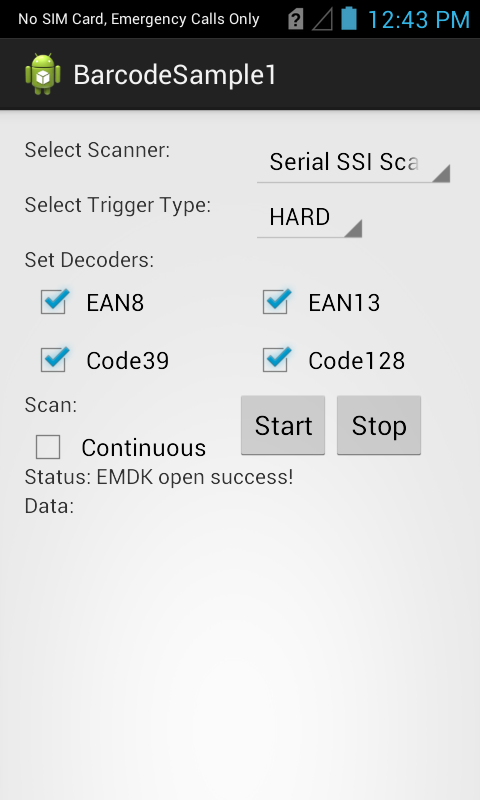 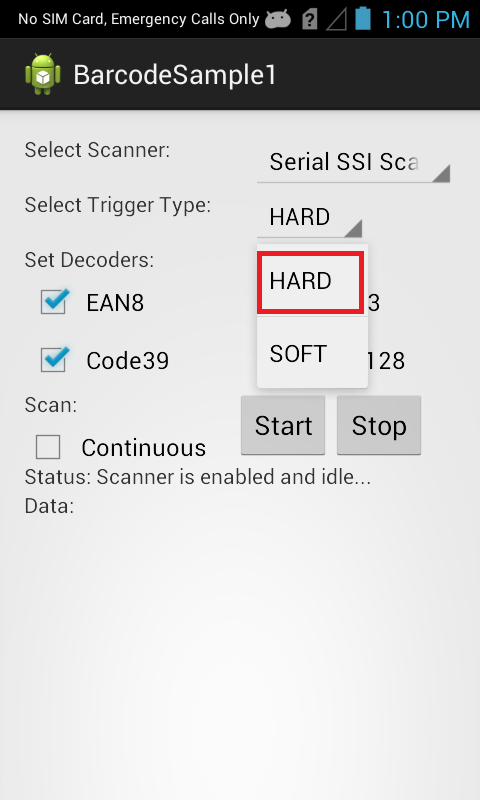 The EMDK for Android is used when you wish to handle all barcode scanning entirely in Java using Barcode/Scanning APIs introduced in EMDK V3.0. 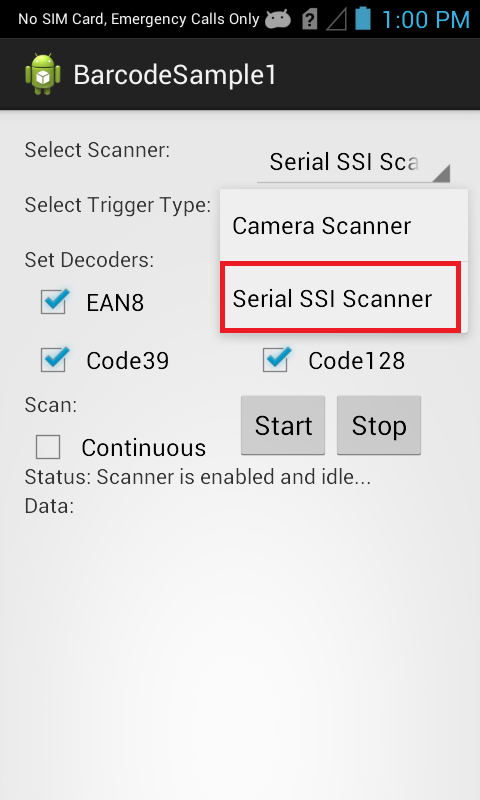 These APIs work independently of any Data Capture profiles. 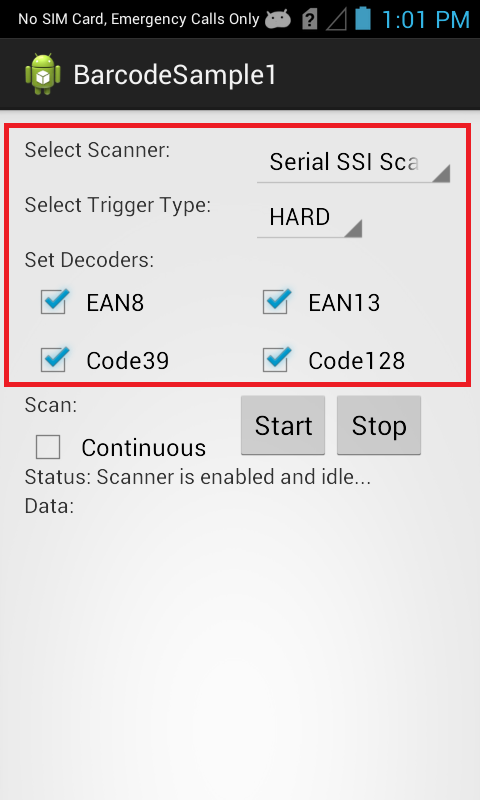 This sample application permits barcode scanning based on selected scanner, trigger type and few Decoder Params.